Only matches played at senior level between two approved members are considered as part of the rankings. The World Rankings are automatically updated on the first day of every month. If that falls in the middle of an international series, the update will occur immediately following the series. 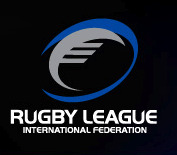 Check out the RLIF's latest world rankings. Singapore has made it on the list, but as an unranked nation due to no games played to date.